Frameless Shower Doors are becoming increasingly popular across the country because many families do not like the idea of metal frames on glass shower doors. While frames have traditionally been essential to provide structural integrity to glass and for shower doors, modern technology has made frameless technology a great option. 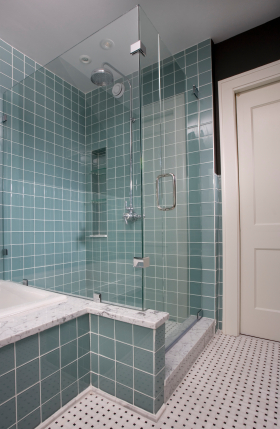 Tempered glass that is used in frameless shower doors does not require any framework to hold it together. It can be fixed into the wall, simply hung from above or installed on the floor without having any frames or even hinges. Frameless shower doors come in different styles. Below is a gallery of different design options. 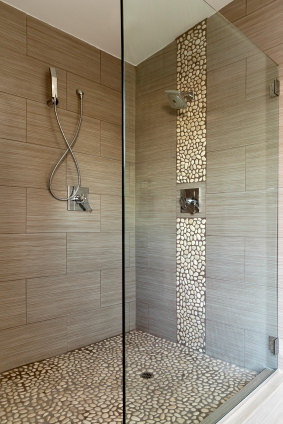 Frameless shower doors can come with an inline design, swinging design or a sliding design. There are ample options for you to choose from. The options are many. You can have clear glass, rain glass, etched glass, embossed glass or many other custom designed glass styles. You’ll be able to choose the glass that works best for you, your family and your home. They Look Great! 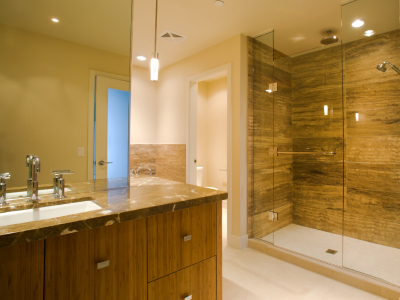 –The primary benefit of frameless shower doors is its appeal. Frameless shower doors look state of the art, elegant and they can even increase the value of your home. The artistry and designs of most frameless shower doors can definitely change the feel of your bathroom. 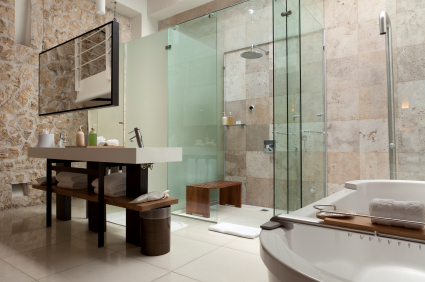 Another advantage is your bathroom can actually look larger by allowing more light to fill the room. Less Maintenance and Hassle: Many framed doors, if improperly installed, can have metal works or alloy frames get affected by water splashes and soap water. Debris can buildup in the hinges and within the frames. This is a non-issue with a frameless design. While shopping for frameless shower doors, it is very important to choose the right style and construction that best fits your home. Our trained and experienced staff is here to help you! Call or fill out our online form and we’ll walk you through your options to help create the perfect design for you and your family!